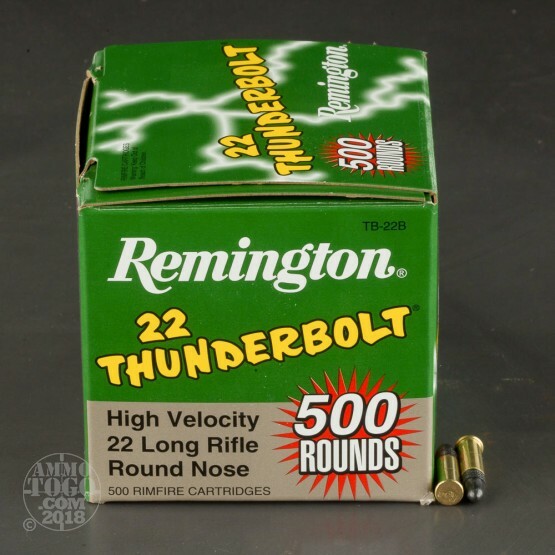 This is Remington 22 Long Rifle Thunderbolt 40gr Round Nose. 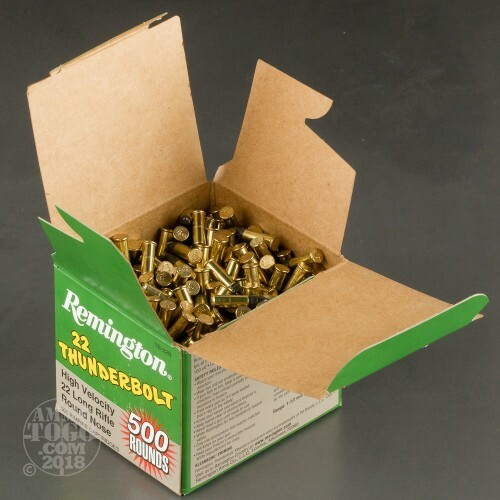 Remington is one of the leaders in rimfire ammunition advancements. 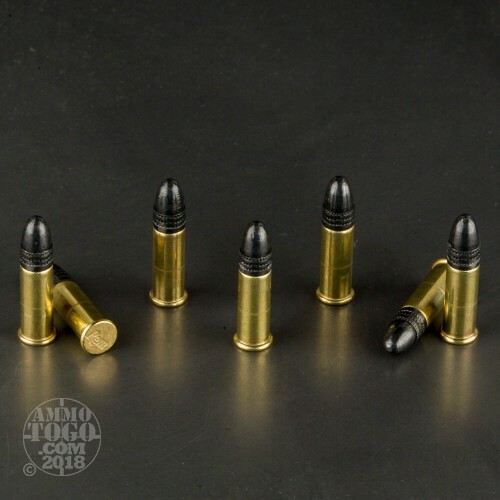 Their wide variety of loadings means that you are sure to find the right ammunition for your needs. Great for competition, hunting or plinking. 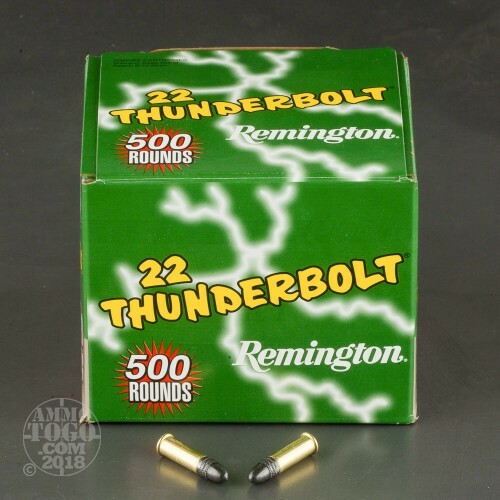 Thunderbolt Round Nose loads create a pleasant shooting experience for young shooters as well as high scores for competitors. This ammo has a muzzle Velocity of 1255 fps and muzzle energy of 140 ft/lb. It is packed 500rds. per box. Feeds perfectly in 10/22 with 25 round magazines. Near 0 failure to feed or fire. posted on 5/14/17 by Dave R.
After many clips through a Henry survival rifle, which is notorious for jams with other ammo brands, the hi-velocity did not hang up or miss. Federal, not so much. Get the round nose for this gun. posted on 4/17/15 by Robert B. Ran through a couple hundred rounds of these with an M&P 15-22. No misfires, the ammo fed well, no jams, pretty good accuracy. No complaints, I will buy more.